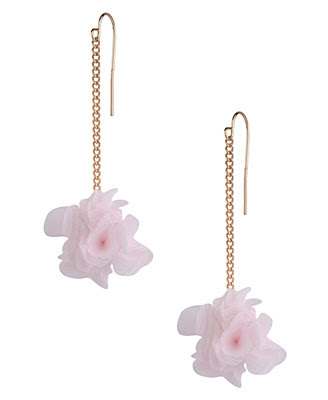 Chiffon Pom Flower EarringSo I bought these from Forever 21 for my birthday...in fact, they were so cute and came in three colors (pink, white, black) and I couldn't decide so I bought them all. I actually saw them on a friend Megan Hoeppner from CK Media wearing them the other day and LOVED how cute they were on her...I just hope I can pull them off (or my daughter will have some really cute earrings). Jersey Ruffled Scarf TutorialI always love a good tutorial and Sew Much Ado blog offers up this darling scarf tutorial. Enjoy! 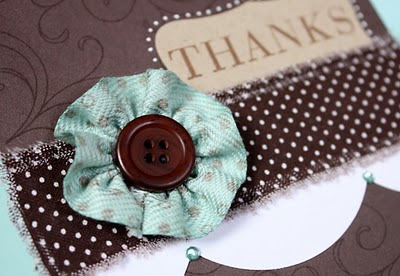 Ribbon Flowers on CardsWhat a simply cute idea to embellish a card. If you haven't already checked out Kelly Rasmussen's blog, then be sure to hop over there and follow her. She always posts super cute card ideas. Chic Pearl NecklaceI've seen a few of these ideas and always love the idea of combining jewelry with flowers of all sorts. 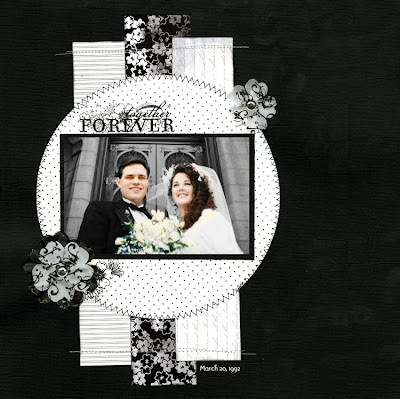 Lei explains how she created this on her blog. Love & Food StorageI thought this was a cute idea that you could give for Valentines or any other special day, couldn't resist showing it to you all. For the tag – that reads “Because I always want you to be safe” and contents list, click here. Olympic Cookie MedalsIn honor of the Olympics beginning I thought I'd share a fun idea I found at Alpha Mom. Check it out to see step by step how to create this fun and useful medal! 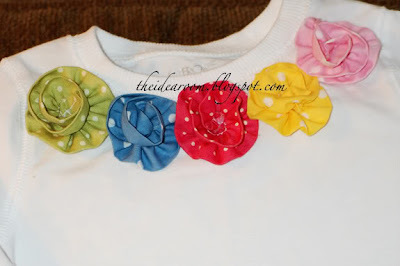 Little Girl's Floral T-ShirtI love these fun, bright fabric flowers, but then to add them to a young girls t-shirt made them even cuter!! If you want to see how to create these for yourself, visit The Idea Room blog!! Lovely HeadbandsI'm not sure I've shared a fun site I enjoy checking out called "The Recessionista"...but they have the lovelist headbands I've ever seen and if my budget would allow it, I'd be ordering all of them. This is one of the newest and the yummiest! Banner Tutorial These darling banners seem to be all the rage for paper crafters everywhere, but I loved this quick tutorial to create one from 5x5" fabric squares. Click here to learn how. Quilted Composition Book - TutorialLoved this fun idea to cover a composition book and you can remove it and add it to another book when the book is done. Check out this fun tutorial here! Typically I don't participate in the Design Team challenges, but I couldn't resist playing with a the new Imaginisce sketch and loved this one by Julie Bonner. But I also couldn't help but use some new papers that only I have access too (a perk of being the coordinator)...it's from the new To Love & Cherish Collection shipping in April. I was going to add in red, but figured I'd keep it classic and use a photo from sooooooo long ago. Hope you like it!! Leave a comment and you could win $50 worth of Imaginisce product. Then hop back over to the Imaginisce blog and leave a comment there and on any of the other blogs of our Design Team that participated in the sketch. And if you want to create a layout based on this sketch, you can!! Check out the details on the Imaginisce Blog.